Here is your look at the 2018 Diema Xtra Sofia Open, an ATP 250 indoor hard court tournament in Bulgaria, one of the few ATP tour stops in Eastern Europe. Despite struggling on his return to the tour from injury in Melbourne, Stan Wawrinka is very much the man in Sofia. Wawrinka, presuming he’s fit, should be able to fire past wild card Alexander Donski or a qualifier, and then Denis Istomin/Viktor Troicki in the quarters (wild card Adrian Andreev and a qualifier are also options). Max Marterer reached the third round in Melbourne, Malek Jaziri and Joao Sousa/Dimitar Kuzmanov isn’t the easiest path, but I’ll still back him to reach the quarters opposite his countryman Philipp Kohlschreiber. Kohli takes on Sergiy Stakhovsky or a qualifier in round 2 after struggling to start the season. Marterer over Kohlschreiber is my upset pick for the tournament. A couple of Davis Cup participants could reprise their matchup in the semifinals if things go according to plan. Adrian Mannarino takes on Marcos Baghdatis or Mikhail Kukushkin, who also played DC this weekend. From there he would face either Evgeny Donskoy or Lukas Lacko in the quarters. I have Lacko beating Donskoy and Radu Albot/qualifier before falling to Mannarino. Robin Haase fell to Mannarino in the Davis Cup on the weekend, he faces Marius Copil, Blaz Kavcic/Laslo Djere will follow. He should reach the quarters but I’ll back Gilles Muller to beat Andreas Seppi/Mikhail Youzhny and Haase to reach the semis. Muller has a great shot to take the title, but Wawrinka is the best player in the field, even at 80% of his abilities. Presuming he’s gotten enough practice in since losing in Melbourne, Wawrinka is the favorite. 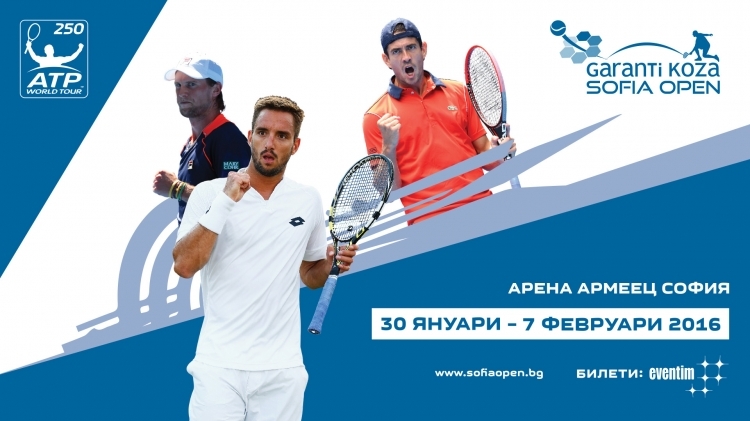 Bulgaria’s only ATP World Tour event is back for it’s second edition, as a host of European talents will battle it out in this ATP 250 tournament. Here is your preview, with predictions. A much stronger tournament than last year, Sofia brings four top 20 players, including home hero Grigor Dimitrov. Only one of the main draw players isn’t from Europe. Both Klizan and Kuznetsov are coming off of Davis Cup play, neither were successful, but Klizan put in more roadwork, playing two singles rubbers. These players are streaky big hitters and anything could happen, but Kuznetsov is in better form and should have an advantage in this one. Dominic Thiem is 5-3 to start the season, and could run into trouble against the in-form Adrian Mannarino in round 2, presuming Mannarino puts away Nikolosz Basilashvili. Mannarino has two challenger titles already in 2017, and could knock off Thiem, but the Austrian is the favorite to reach the quarterfinals. The winner of Kuznetsov/Klizan should be tipped to reach the quarters as well, with Marco Chiudinelli or qualifier Daniel Brands the only other option. Thiem over Kuznetsov is my pick in the quarters, as the Austrian should be fit and finally gathering some momentum for a good tournament run. Bulgaria’s #1 Grigor Dimitrov is a red hot 10-1 to start the season, and with home support he should ease past Jerzy Janowicz/Dudi Sela, and then defeat Serbian #2 Viktor Troicki in the quarterfinals. Davis Cup success should boost Troicki and help him earn wins against wild card Cem Ilkel, and either Robin Haase or local wild card Dimitar Kuzmanov. Dimitrov has been playing like a top 10 player recently, and is a clear favorite to reach the semifinals. David Goffin is 5-2 to start the season and should earn his seventh win against most likely his countryman Steve Darcis in the quarterfinals, after defeating Radu Albot or local wild card Alexandar Lazarov in round 2. Goffin’s pure ball striking would go up against Andreas Seppi perhaps in the quarters, but Seppi, if he stays in the draw, will be coming off a long Davis Cup weekend of work for Italy. There are some talented players in this section, but Goffin is highest ranked among them for a reason. Darcis was a hero for his nation over the Davis Cup weekend and opens with qualifier Max Marterer. Defending champion Roberto Bautista Agut found success in Davis Cup over the weekend, and looks set to defeat a qualifier, and big server Gilles Muller to reach the semifinals. Muller opens with a qualifier, Mathias Bourgue, while Mikhail Youzhny does the same against Marko Tepavac. Muller’s quick serve can be dangerous on a fast court, but RBA has been playing great tennis in 2017 and already has an ATP title to show for it. Of the top 4 seeds, Thiem should be the player at the most risk of being ousted early. He hasn’t been fit to start the season and has endured some shaky performances. On top of that, Mannarino, despite being up and down, has played some great tennis already this season, and excels on indoor hard courts. If Mannarino can absorb Thiem’s power, he could reach the quarterfinals, and perhaps the semis or better. Dimitrov and Thiem have split meetings, but given the difference in form and Dimitrov’s win in Brisbane, Dimitrov is a clear favorite. RBA is 3-0 against Goffin, making him the favorite to reach a second straight final in Sofia as well. Despite a split 2-2 h2h, Dimitrov should have the form advantage in this one, both players are playing well, but Dimitrov’s level has been above even RBA’s in this young season. 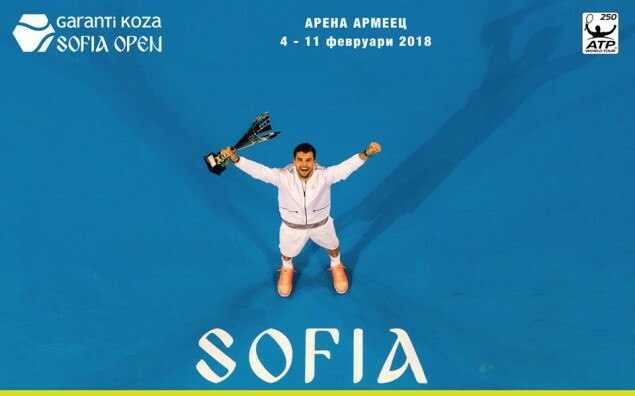 The Sofia Open is on the ATP World Tour calendar for the first time, it’s an indoor hard court tournament in Bulgaria, and Bulgarian tennis fans are excited to have a men’s tournament of their own to celebrate and attend. Sofia lacks a top 20 player, and failed to attract home hero Grigor Dimitrov, thus it’s one of the weaker ATP 250s. Dzumhur leads Vesely 2-0 in the h2h, and won a round in Melbourne, while Vesely has yet to win this season. Vesely is a talent, but Dzumhur could well pull off a minor upset in this one. Roberto Bautista Agut already has an ATP title this season and reached the second week in Melbourne, as the Spaniard is in great form to start the season. RBA is the tournament favorite, and he should ease past either Marsel Ilhan or Filip Krajinovic in his first match. Hyeon Chung or Adrian Mannarino is his likely quarterfinal opponent. The young Korean opens with qualifier Marius Copil, while Mannarino will open with Evgeny Donskoy. Mannarino has a challenger title under his belt this season, and the veteran Frenchman should be a minor favorite over Chung, with RBA a strong favorite for the semifinals. Guillermo Garcia-Lopez has Yuki Bhambri or Mirza Basic to open his quest for a title in Sofia. Basic qualified in Australia, and in Sofia, demonstrating strong form to start the season. GGL has an ATP quarterfinal already, and he should reach another with a win over Basic, and then a quarterfinal win over Gilles Muller. The Sydney semifinalist Muller opens with a struggling Malek Jaziri, and Ricardas Berankis or Dimitar Kuzmanov in round 2. Kuzmanov is a wild card, while Berankis is just 1-2 to start the season. Muller should serve past Berankis before falling to Garcia-Lopez, given GGL leads the h2h 4-0. Sydney champion Viktor Troicki could be troubled by big serving Daniel Brands in round 2, presuming Brands defeats Thomas Fabbiano. Brands qualified for both Melbourne and Sofia, and has demonstrated an ATP caliber game. Troicki is the quarterfinal favorite though. Philipp Kohlschreiber has had tough draws this season, but Sergiy Stakhovsky is a beatable opponent, and so is the Vesely/Dzumhur winner. Kohlschreiber is 2-1 in the h2h against Troicki, but Troicki should keep his form and reach the semis. Andreas Seppi is 3-3 to start the season and will face either Matt Ebden or more likely Thiemo De Bakker in round 2. On ranking and talent alone, Seppi should reach the quarters and face either Martin Klizan or Lukas Rosol, a pair of heavy ball strikers. Klizan is looking for his first win of the season against Alexandar Lazov, a wild card. Rosol drew a beatable Robin Haase. Rosol vs. Seppi is an interesting quarterfinal matchup. Seppi leads the hard court h2h 2-1, but Rosol, a streaky player, should have a slight form edge and reach the semis. Rosol has a great chance to reach the semifinals, and a semifinal against Troicki is winnable, Rosol trails the hard court h2h 2-0, but he’s capable of turning that around if he clocks the ball liek he’s capable of. RBA has a 2-0 h2h edge over GGL, while Troicki has the same edge over Rosol on hard courts, making them both favorites to reach the final. Given they have never met before this match could go either way, but RBA’s game should be slightly superior.